Ambassador Carsten Staur took up his duties as Permanent Representative of Denmark to the OECD in Paris on 1 September 2018. Mr. Staur was born in 1954. He holds a degree in History and Literature from the University of Copenhagen (1980). He joined the Ministry of Foreign Affairs of Denmark in 1981. From 1994 to 1996, Mr. Staur was Director for Development Policy and Planning. He then became Denmark’s Ambassador to Israel (1996-1998). Mr. Staur was State Secretary in the Ministry of Foreign Affairs in charge of Denmark’s development cooperation (Danida) from 2001 to 2007. Previous positions include a term as Under Secretary for Bilateral Development Cooperation (2000-2001), prior to which he served as Under Secretary for Administrative Affairs (1998-2000). 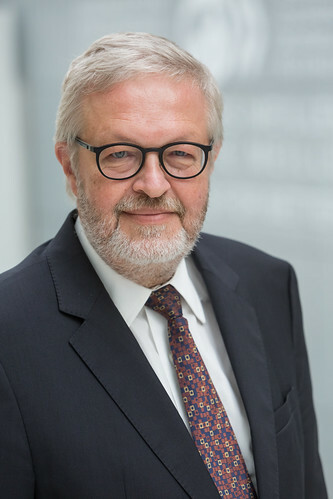 Carsten Staur has chaired the Board of UNDP, UNFPA, and UNOPS (2007-2008), the drafting Committee of the 32nd International Red Cross and Red Crescent Conference (2015) and UNHCR’s Executive Committee (2015-2016). Prior to taking up his duties as Ambassador and Permanent Representative of Denmark to the OECD, Mr. Staur was Denmark’s Permanent Representative to the United Nations in Geneva (2013-2018), and prior to this Permanent Representative to the United Nations in New York (2007-2013). He has also served as member of the Board of the Global Fund to Fight AIDS, Tuberculosis and Malaria (GFATM) from 2005 to 2007 and again from 2015 to 2017, and as Vice-Chair of the Council of the International Organization for Migration (IOM) from 2016 to 2018. In 2013, he published a book on the UN: “Shared Responsibility. The United Nations in the Age of Globalization”, McGill-Queens’s University Press.